When you’re moving house packing crates will be ideal since one of the first things you consider is how you’re going to pack your smaller belongings safely. You might stockpile cardboard boxes for weeks beforehand, or buy a packing kit, either from your removal company or from a retailer. However, that’s not terribly environmentally-friendly, and you’re left with the trouble of recycling the empty boxes once you’ve moved; a hassle, when you’d probably rather be getting your new home exactly as you want it, or exploring your new area. 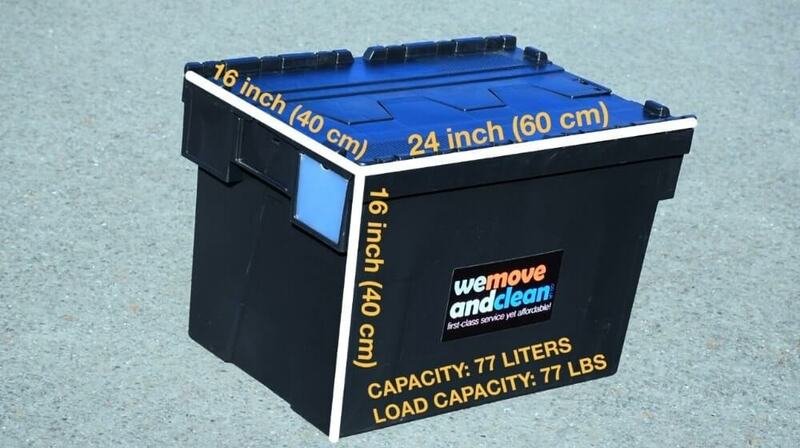 The good news is, there is a more environmentally-friendly solution when you’re moving house, and we at We Move And Clean can provide it for you. We deliver our heavy duty packing crates to you in advance of your move, and they’re ready to use. You don’t have to waste valuable time putting them together, and they also nest inside each other neatly so that they don’t take up much space in your home – especially as your belongings seem to take up twice as much space as usual when you’re packing in preparation for moving house! When you’re moving house packing crates will come in handy. They’re very easy to use, and larger than standard medium packing boxes. They’re also ideal for navigating through narrow hall and doorways. There’s no messing around with packing tape, as you can simply open them and fill them. Unlike cardboard boxes, they’re not going to fall to pieces, so there’s no danger of your fine bone china disappearing out of the bottom of the box as it’s carried onto the van. Not only do our packing crates save you money and give you peace of mind in terms of packing efficiently, they save you money by helping you avoid the inevitable breakages that seem to happen when using cardboard boxes, however carefully you pack. Our crates have a weight capacity of up to 70 pounds, so they’re very sturdy – ideal if you’re a bookworm, or have a large CD or record collection to pack! In addition to delivering our packing crates to you, we also collect them when you’ve finished with them. Just give us a call once you’ve unpacked, and we’ll be with you to take them out of your way at a time that suits you. If you’re not sure how to pack your smaller breakables safely, or you just don’t think you’ll have time, we provide this – and a range of other services when you’re moving house – at a reasonable extra cost. Allow our expert, professional, fully-trained staff to take as much stress out of your move as possible, and allow you to get on with day to day life as well as you possibly can. When you’re moving house packing crates will make everything much easier. 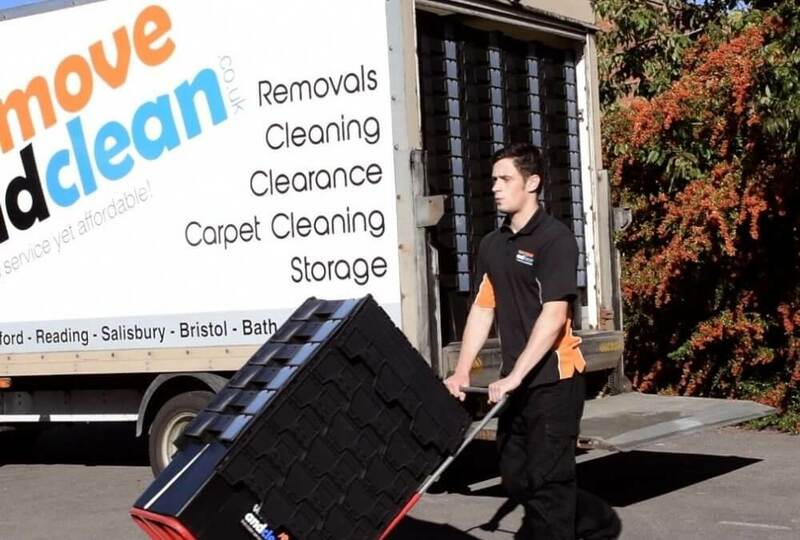 At We Move And Clean, we’re not happy until you’re happy, so give us a ring to discuss your move today, and let us offer you peace of mind as part of a professional, good value service. Use the estimate buttons below or read more about our services and then fell free to call us!